The school travelled through time on Tuesday and we enjoyed a special ‘histrionics’ theatre show promoting the importance of safe travel and healthy lifestyles, led by a visiting time travelling time lord. The children looked absolutely fantastic in their costumes and were clearly inspired by the research they had undertaken in learning about the famous people they came dressed as. Thank you for your support in making the day such a special one! The theatre production came as a reward from the County Council to acknowledge the achievements of the school in becoming the first school in the county to be accredited a gold Modeshift STARS (Sustainable Travel Accreditation and Recognition for Schools) award. 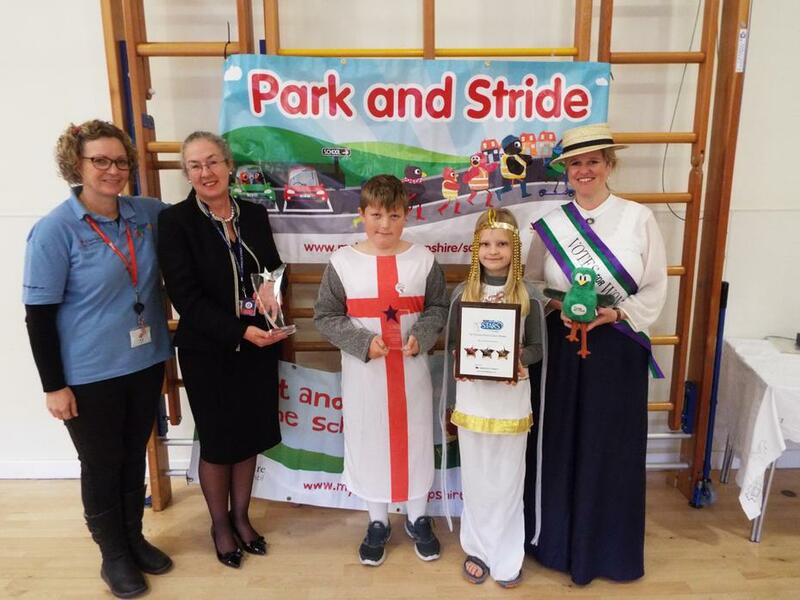 This award was a culmination of a number of years work by school eco reps, members of the school community travel plan team, staff and governors and of the support shown by our parent and wider local community. We are delighted that 95% of pupils at St Bede walk to school regularly, a significant increase from 56% in 2003. The school has worked with HCC’s School Travel Planning and Road Safety teams implementing a number of active travel initiatives to reduce traffic at the school gates such as Park and Stride, scooter and pedestrian training and making a Hampshire County Council (HCC) mosaic and video to highlight the reduction in school run journeys achieved in the county over the past 12 years. We have also worked more recently with local estate agent Winkworth, highlighting the importance of drivers slowing down in the vicinity of the school and with Specsavers who have provided the school with high visibility jackets worn by staff and pupils when walking locally. 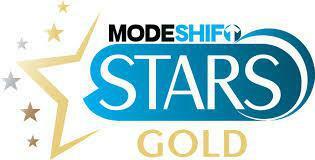 As well as becoming the first school in Hampshire to be awarded the gold Modeshift award, we have has also been awarded the Modeshift STARS Award for Effective Partnerships and the South East Regional STARS School of the Year 2014/2015- what an achievement! Thanks must go to all those parents, businesses, pupils and staff, past and present, whose tireless efforts to promote this message and to engage with the associated initiatives have led to these fantastic awards. We are delighted to have been rewarded for our work encouraging St Bede pupils to keep safe, be active, promote healthy lifestyles and become more environmentally aware. The projects have helped build stronger links with our parents and the local business communities whilst engaging pupils in purposeful and creative learning opportunities.